← Ever Wondered What Your Property Is Worth? Looking for a New Car, Truck or Even a Boat? Doesn’t matter if you’re keen to buy a new Mercedes, a classic Chevrolet from the 1970s or a second hand run around we can help. Capital Funding Group have access to a variety of lenders so we can provide you with a great rate with finance structured to suit your needs. Our carefully structured finance agreements for individuals and businesses, tailored to your unique circumstances, are aimed at minimising your payouts and maximising any applicable tax deductions. The variety of options gives you a greater range to find what you need. For consumers there is now the option to add a balloon to the end of your loan which minimises your monthly repayments and can provide greater options in the type of vehicle you’re purchasing. 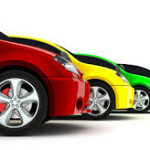 Contact Capital Funding Group now and discuss your motor vehicle finance options. This entry was posted in Motor Vehicle Finance. Bookmark the permalink.